Had a wonderful trip to CA visiting my son and his family and Mage over at Postcards. My flight home was very nice, but I made a mistake. To pass the time, I began playing games on my Kindle and have now turned into an addict. This with all the work awaiting me on arrival and I am just now coming up for air on the computer. I begin visiting folks yesterday, including Mage, to let her know I was back and safe. Will get round to other friends one day at a time. As you might expect the mail was backed up (both snail mail and electronic mail). And, 100s of bulbs for fall planting had arrived. David kept the animals, birds and house plants alive while I was away, and now I am trying to get back in the swing of the everyday routine. I don’t know where these dirty clothes came from, but as most seem to belong to me, I can’t blame him. He did keep the dishes washed and I have tidied up a bit, but mail is not his thing, so this morning, I went through the piles of propaganda, this being an election year, and Virginia being a swing state. Mercifully, most of the mail was junk, although a few important documents were included. 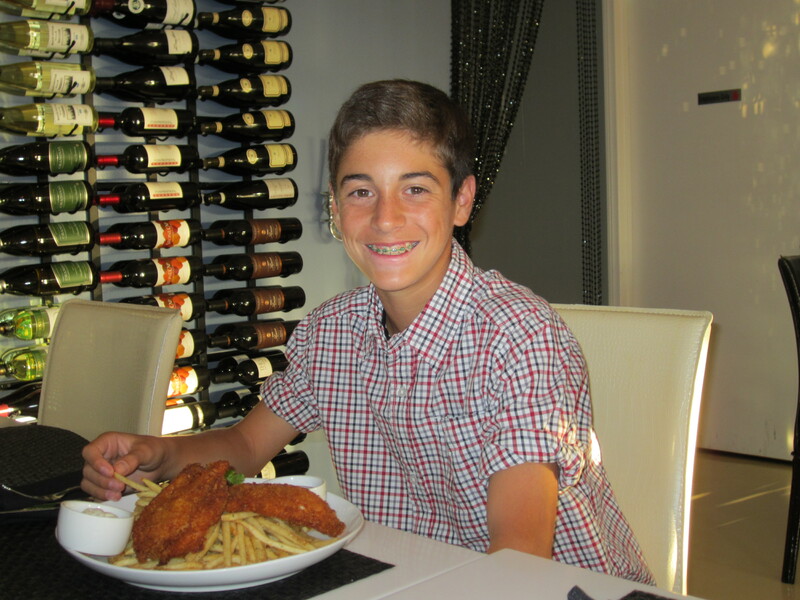 1/ my oldest grandson Jacob (Richard’s little boy for all who know him), braces and all. The restaurant was Vegan, so the “fish and chips” were vegetable, believe it or not. 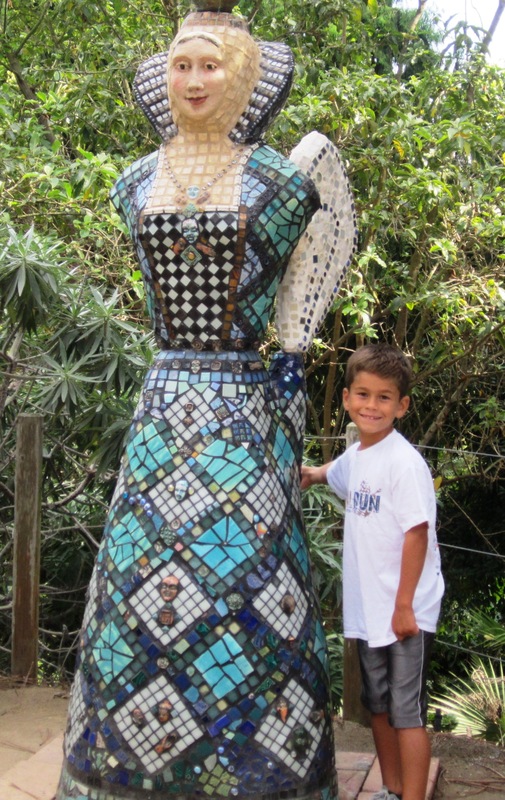 2/Younger brother is in the photo above, posing with the White Queen we found in the Botanic Gardens. Now I am off to spend time with David which probably means a nap in our chairs. Oh the time changes….. 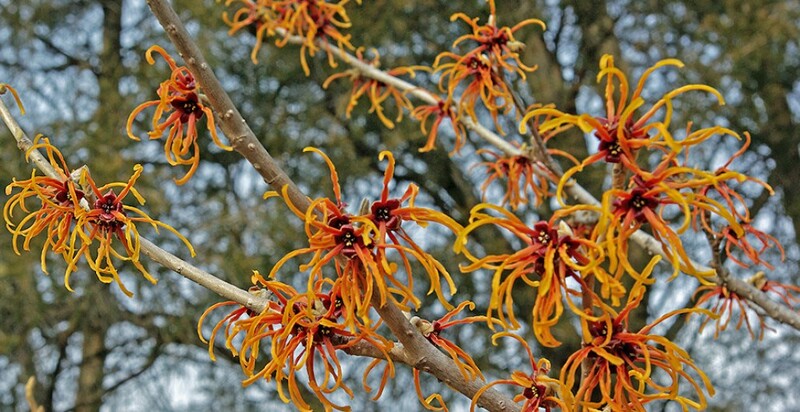 This entry was posted in Elder Blogger, Family/Children, Travel by SchmidleysScribblins. Bookmark the permalink. How wonderful that you were able to meet and spend time with Mage! Hope that concept of veggie fish and chips spreads (it would help my waistline from spreading) so we can get them here. Welcome back! Can’t remember when I got an important document in the mail. It’s all junk these days . . . including, often, multiple copies of those big political postcard-type ads. Ah well, as you say, makes it easy to get through the pile (although it also makes the recycling heavy!) Anyway, welcome home and may you get back to normal soonest. Glad you are safely home, even though you are enjoying, uh, battling a new addiction. Awaiting reports on exploits, and happy you led off with the most important stuff, charming grandsons! Well, I am one who was very glad you were here. Nope david was glad to see you. Welcome back, Dianne. Nice to see you again. Your grandsons are very handsome.